For others named Al, see Al. 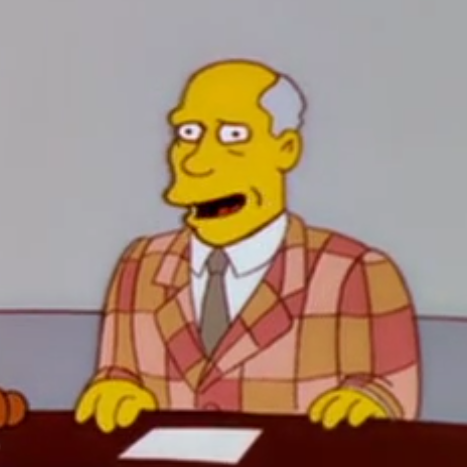 Homer watched the Pigskin Preview for a game between Green Bay and Denver, where Al said he was going to bet on Broncos in this game beacuse the Packers will be blinded by Jerry's tie and the commentary team started to laugh. Jerry said he was more worried about Al's jacket, and asked him how many stations can he get on that thing, and they all started laughing again. A man from wardrobe then came and told them that he is sick of their jokes about the wardrobe and they can dress themselves from now on. Modified on September 19, 2016, at 07:37.